The word honeymoon is fascinating for every newlywed couple. But very few know about the inception of this word. The name came from a drink called “Mead” made of honey in excess, little water and some spices. This was then served to the Bride and the Groom at their wedding celebration and also every night for a full cycle of the moon. Thus the beautiful mélange of the word honey and moon gives honeymoon as the result. In today’s time honeymoon is considered as a gateway to requiescence, amour and luxury weaving that special thread of love and passion for each other. Honeymoon varies from person to person depending on their taste like Beach, Luxury, Safari, Budget, Traditional and City. A comfortable, luxurious and a romantic ambience will make a perfect honeymoon. If you want to pamper yourself and your partner and live a life King size in your honeymoon period, then these extravagant honeymoon suites will serve you the best. 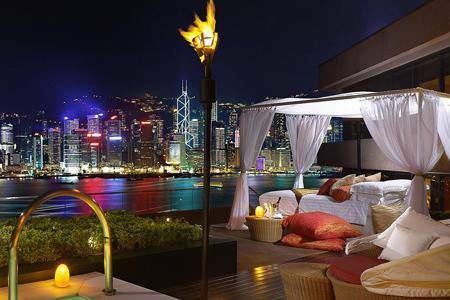 From having personal rejuvenation to a flamboyant ambience, these hotel suites have it all. Take a look. If you are longing for a classical romantic honeymoon, then this place located in the City of Love, Paris is an exemplary choice. The entire hotel is embellished with beautiful art deco and enticing styles. The bewitching view of Eiffel Tower from beautiful French windows is a retreat to eyes. It is a splendid palace-like paradise, jazzed up with Turkish baths, a Jacuzzi and ornate upholstery with golden threadwork. The suites deploy a palette of pastel colors and shimmering lights creating an aura of love and romance. With a price of $6000/ night, this place is absolutely worth every penny. 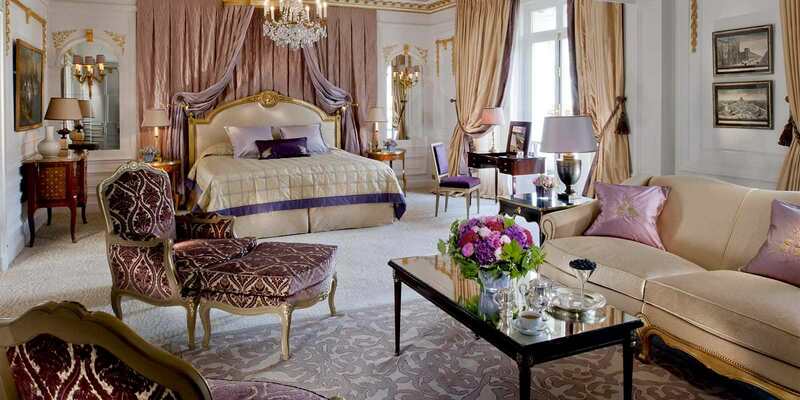 This extravagantly beautiful suite will surely inundate you in the lap of pure lavishness. Not only is this one of the most luxurious hotels but is also got one of the best romantic places for couples dreaming for an ostentatious honeymoon. With a magnificent king sized bed and a rain forest shower for two, this place is sure to bring in ecstasy between you and your partner. Make your honeymoon dream come true at this place with a price of $14,000/ night. The grandiose Burj Al Arab hotel is rated as the World’s first and only 7-star hotel located in Dubai which is known for extravagance and opulence. 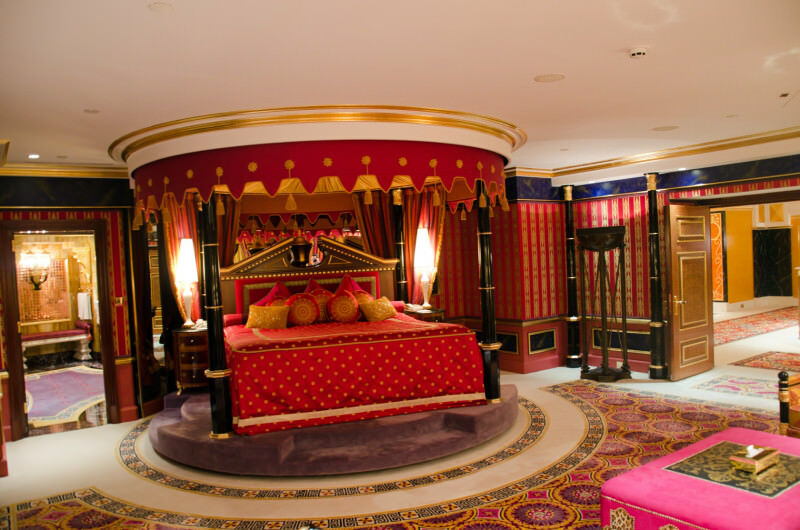 Their Royal Suite will take you to the next level of luxury and exuberance. This suite has a plethora of royal services like a chauffeured Rolls Royce, a helicopter for transportation, remote controlled room, food cooked by Michelin star chefs and a 24-carat gold-plated iPad. With a whooping price of $24,000/night, a honeymoon couldn’t get better than this. Step into the ultimate romantic and exotic Turks and Caicos Island in the British West Indies which is known for its spectacular beaches and turquoise water. The splendid Sanctuary Villa at The Parrot Cay Resort is considered as a place of peace and tranquility. 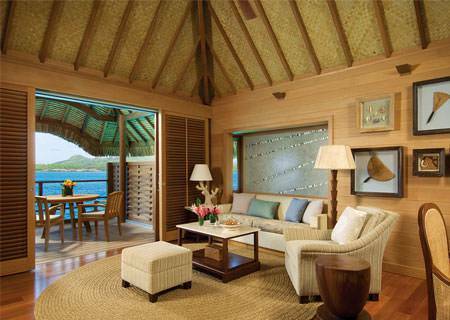 This villa adorns a private beach, a butler, and a private chef to deliver world’s best cuisines. 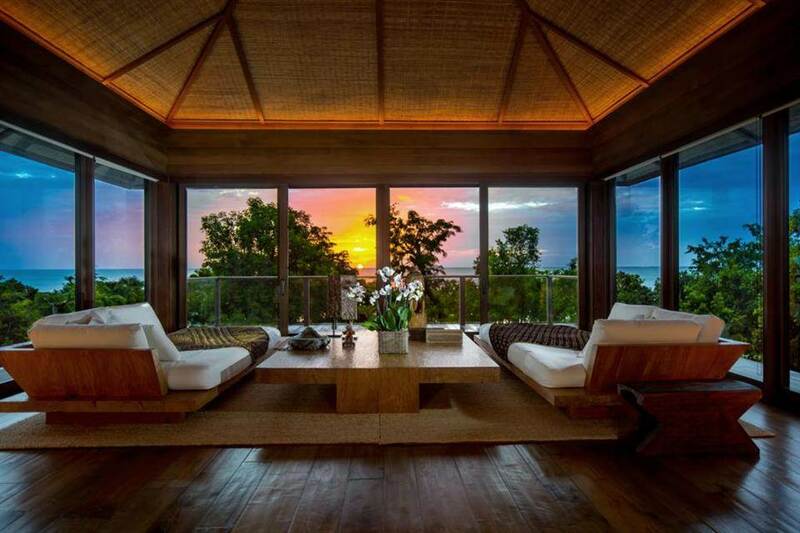 With stunning décor by designer Donna Karan, this villa is sure to blow your mind with its pristine beauty. If you are craving to spend some beautiful moments with your partner then be prepared to shell-out anywhere between $20,000 to $30,000 per night for a fab experience. Turquoise water, endless skies, tranquil coconut plantation, balmy breezy evening and starry nights, this resort woos guests with tropical villas and a soothing spa. Step into the ultimate romantic Four Seasons Resort Bora Bora in Bora Bora to enjoy the gentle serenity of the lagoon, sipping champagne with your partner making you feel as though everything has been tailor made for you. The ambience is simply picturesque for couples to celebrate their love at a perfect price of $4000-$5000.